Maripol introduced me to creative director Marie Havens at PMc Mag and we had fun. Arboreal & botanicalscapes commissioned by my private collector Mr. John Leguizamo which will be exhibited at Artsolar Gallery in East Hampton, NY. How ambitious & honest I am. And how important my fine art work is. Montauk in Long Island, NY. Natural beauty, realness and anything or anyone engaging and eccentric. I would be a modern day sultan and promote coexistence. John Lennon because he was such a peace/luv maker. Living hero: Terence Riley for his passion of architecture. Being in peace with oneself, able to do what you are passionate about and amassing a good amount of respect and power along the way. And what do u have to bring to this table? 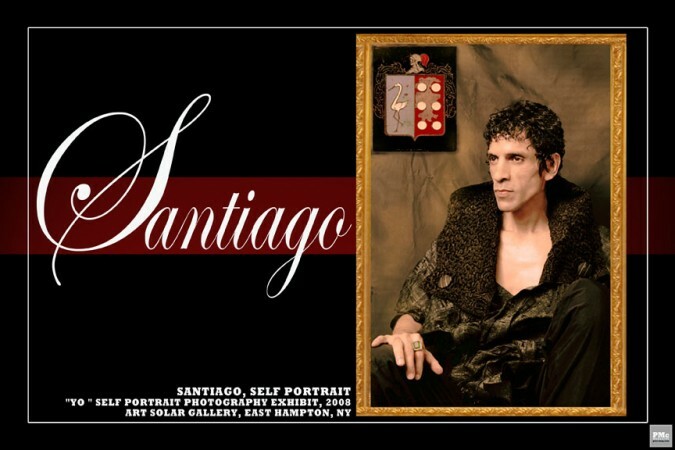 Santiago is a multimedia artist, image creator that makes beauty from within to share with the world. His work involves photography, film, architecture, high fashion, costume design and live performance art. His style is pure, simple, elegant and timeless.